The Firecracker War Bond Booth – In Color! 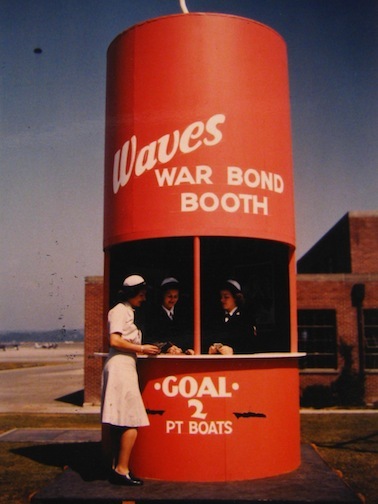 Here’s another photo of the “Firecracker War Bond Booth,” this one in color, from June 26, 1944 (70 years ago this week), set up to sell War Bonds in advance of the July 4th holiday at Naval Air Station Seattle. The goal was to earn enough to fund two PT Boats; the boats cost about $300,000 each.